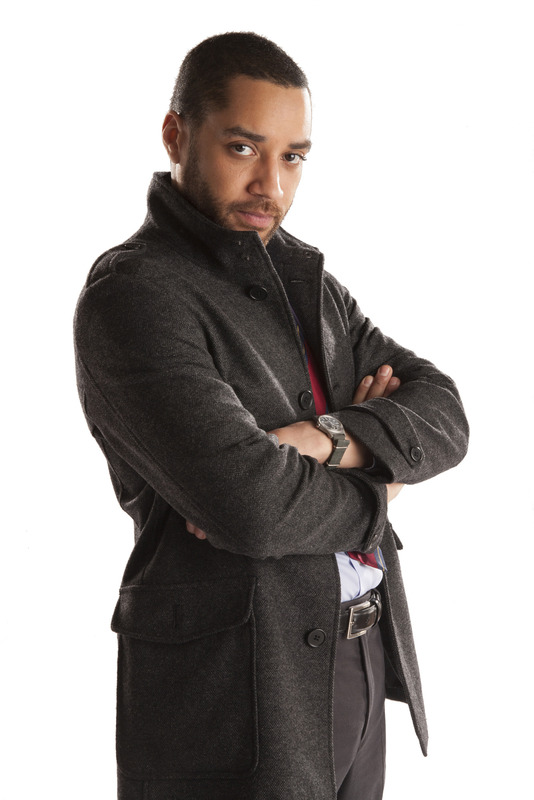 The second episode of Series 8 of Doctor Who introduced the character Danny Pink played by Samuel Anderson. Since his character was announced at the beginning of this year fans have been speculating how important his character will be. Suggestions have included being Clara’s boyfriend, a new companion and even the Master! I think these were the most popular suggestions as it seems that he is going to be a recurring or regular character due to how early he has been introduced. This could lead to him joining the Doctor and Clara in the Tardis or if not, having a good number of episodes to set up a narrative arc to be resolved in the finale or both. I found his character to be quite conflicting – there seemed to be a lot of dualities. This obviously makes him seem mysterious as you’re not sure who exactly he is (which feeds in perfectly to him being a villain theories/setting up a narrative arc). This blog post will discuss some of Danny Pink’s traits without turning too much into a review of ‘Into the Dalek’ hopefully! He used to be a soldier and something is haunting him – At the beginning of the episode I thought he was a soldier as he was training the Coal Hill Cadets and thought maybe he had some connection to UNIT. Doctor Who is no stranger to soldiers as the Doctor regularly has dealings with UNIT (even spending most of Jon Pertwee’s era with the Brigadier and UNIT in classic Doctor Who) and comes up across alien soldiers all the time eg. daleks, sontarans etc. However, it is quickly established that he is a maths teacher who used to be a soldier. There’s a big deal made about the moral aspect of modern soldiering (something that didn’t entirely convince me but I’ll overlook it) as Danny Pink shows emotion when trying to avoid discussing his time as a soldier. He is asked by a pupil whether he killed anyone who wasn’t a soldier, a question he pointedly ignores but we see a tear fall thanks to a close-up by the cameraman. Later, Clara makes a comment about the ambiguity of morality and warfare and attempts a joke about Danny shooting someone and crying about it later. Danny immediately becomes defensive and asks who told her that. These exchanges imply that Danny was a soldier but may have been discharged because of killing a civilian (who I think may be a woman which I’ll get to in my next point). The references to crying indicate that Danny is haunted by this incident and feels guilty. He’s a bit of a ladykiller but awkward in relationships – Danny seems to be sexualised by female characters and even the male characters like the headteacher imply that he is a ladies man. This suggests he’s got a bit of a reputation for being popular with women. Danny keeps denying his success with the ladies and this indicates that his reputation and sexualisation especially by female characters is mistaken because he is (not in my opinion) “conventionally attractive”. It seems Danny is right about his luck with the ladies as we endure a really awkward exchange between him and Clara as they try to organise a date. Shot in a way that highlights the character’s dualities, he refuses Clara but alone in his classroom we see what he would love to say to her. I think this indicates that you can’t trust what you expect from a character. Back to the point I mentioned in the soldier paragraph, I think Danny may have been discharged from the army for killing a civilian woman. I don’t have much proof for this except for a throwaway line in the dialogue. This may be a hint to his backstory or it may have actually been a throwaway comment: He’s a ladykiller but he always tries to deny it. He’s probably going to end up being Clara’s love interest – This was pretty much planted in the episode as they have the awkward start to a relationship, many comments made to Clara about her happiness related to him and the arrangements for that drink. I feel a bit disappointed by this – more for Clara. She enjoys a flirty relationship with the Eleventh Doctor which comes to an abrupt end when the Twelfth Doctor arrives. Capaldi’s Doctor makes it very clear that he is not her boyfriend and as mentioned in recent interviews with Capaldi himself, the Doctor and Clara will have a friendship and change the dynamics of the Doctor/companion relationship. With Danny Pink basically being introduced as Clara’s future love interest, I feel she is palmed off on another man – straight into a relationship. It’s almost as if she can’t be an independent, single character who enjoys strictly platonic friendships with men. It’s as if the writers can’t envision Clara not being attached to man and are sending her into another relationship because that is the “norm”. Pink or Blue, there’s a good chance the Doctor won’t want you – Not so much a point about Danny Pink as much as an observation from the episode. I thought it was interesting that the traditional colours associated with gender i.e. pink for a girl and blue for a boy were subtly subverted with regards to the two soldier characters’ surnames: Danny Pink and Zawe Ashton’s character Journey Blue. Colours and gender aside, the Doctor made it clear that he is not impressed with soldiers. This isn’t new: he frequently makes comments about bringing UNIT in and references to their gun/trigger happy attitudes, an attribute that is sometimes passed onto his companions (in the Sarah Jane Adventures, Sarah Jane always resists the involvement and promotion of soldiers). As he turns Journey away from the Tardis for simply being a soldier, this indicates that if the Doctor and Danny meet there will be friction. I think Danny would have to do something amazing (or lie) to step inside the Tardis or that Clara may leave the Doctor to be with Danny which would confirm the rumours that Jenna Louise Coleman is leaving the series at Christmas.